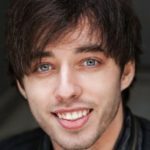 The Phoenix has risen! The fortunes of the Aztecs will be revealed in the brand-new slot title Phoenix Reborn. Based on ancient Aztec civilizations and featuring superb visuals and gripping game play, this 5-reel video slot (with six symbols per reel!) is sure to be an engrossing title for players everywhere! Players must match 3, 4 or 5 symbols across 40 pay lines for a standard win and the titular Phoenix is the game’s Wild. It can substitute for any symbol, except the Scatter, and help players create more winning combinations. It will also expand to fill any reel it lands on giving even more chances across pay lines. 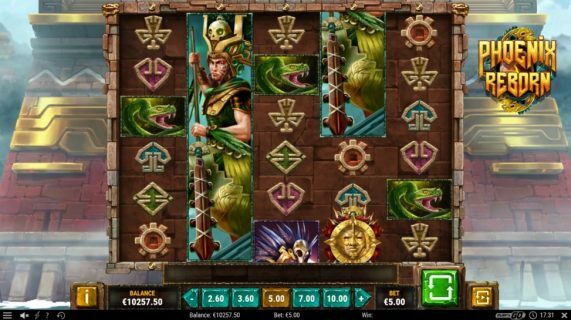 The game also features two stacked symbols, the Female and Male Aztec Warriors who will also fill the reels and give even more chances to create winning lines. Phoenix Reborn also includes an additional Free Spin feature, which players can trigger by landing 3, 4 or 5 Scatter symbols on the reel. In this game, the Scatter symbol is an Aztec mask. Landing the Scatters on the reels will award 7, 12 or 20 free spins respectively. During Free Spins mode the expanded Wild Phoenix will randomly cover one reel on every spin, and up to 4 other Wild Phoenixes can appear on the remaining reels. Players can also trigger additional free spins by landing two or more additional Aztec Scatter masks on the reel during the Free Spin mode. An exciting slot with plenty of great features, your players will love the newest slot from Play’n GO: Phoenix Reborn!